Blisters on hands and feet respond extremely well to Chinese Herbal treatment. 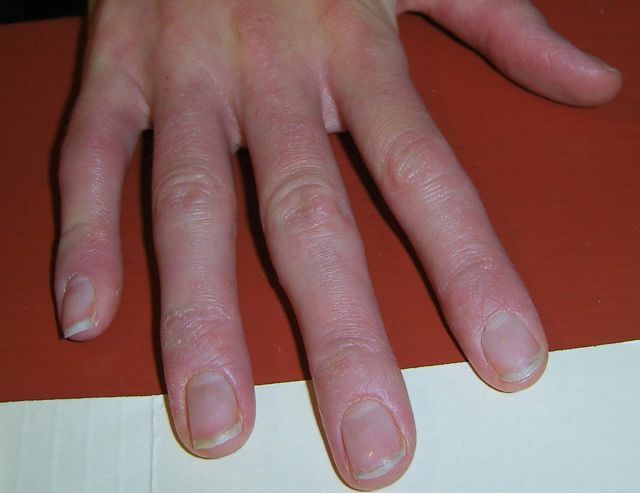 Often, symptoms such as blisters on hands indicate a type of eczema called pompholyx eczema. 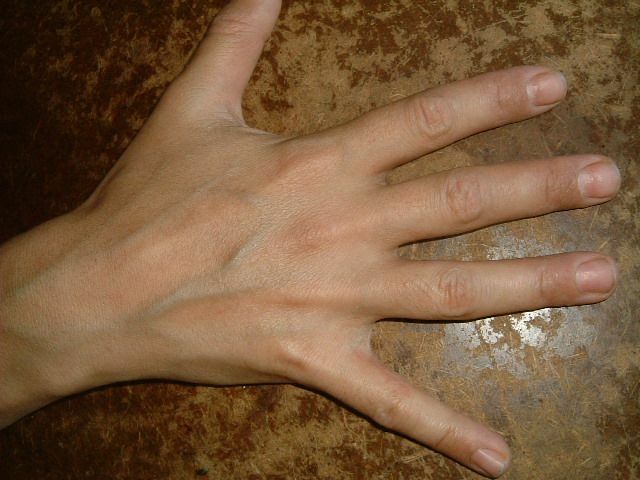 This particular eczema of the hand is not very well treated by hydrocortisone creams, which can thin the skin and make it even more fragile. If you continue to have to use hydrocortisone (corticosteroid) cream, but your blisters keep coming back, it's time to look for a better treatment option. Chinese Herbs are consistenly effective for the permanent treatment of this condition. Because with Chinese Herbs, skin problems are always treated internally, to get to the root of the problem. This offers the best chance of a cure. Blisters on hands are a sign that something is wrong on the inside. The body is in a chronic state of inflammation, which produces excessive fluids in the skin tissues. This is worsened by reactions to soaps, dish soap, shampoos, and even ordinary tasks such as peeling vegetables! The acids in various foodstuffs may bother the inflamed and itchy skin. For these reasons, pompholyx eczema is sometimes called "housewife's dermatitis." Internal treatment with Chinese Herbs can dry up blisters on hands by "putting out the fire" on the inside. Must sufferers of blisters on hands from pompholyx eczema feel the great heat and burning in their hands. This is the heat generated by the inflammation. Chinese Herbs used for this condition are very strong anti-inflammatories, such as Dandelion, Violet and Gentian root. As well, externally, a herb and mineral soak is used for 10 minutes daily, which quickly dries up the blisters to offer symptomatic relief. This is especially helpful with the blisters on the feet, as they make it very difficult to walk.The soak works so well that it is usually not necessary to do it longer than 3 days in a row. But always remember, in order to stop the blisters from coming back, the internal treatment is key. To read more about how this treatment works,click here. Pompholyx eczema is associated with several triggers: stress, irritating workplace chemicals, excessive hand washing (this is very common with new parents), a childhood history of allergic eczema, or excessive sweating of the palms. Additionally, in my experience treating this problem in my Herbal Skin Clinic, poor digestion can also play a role. If there are symptoms of poor digestion such as gas, bloating, constipation or foul diarrhea, we always include herbs to treat that as well, so that the body is able to efficiently absorb nutrients and discharge wastes from the body. This will lessen the toxic and inflammatory burden on the skin. Do your blisters alternate with dry, painful cracks? 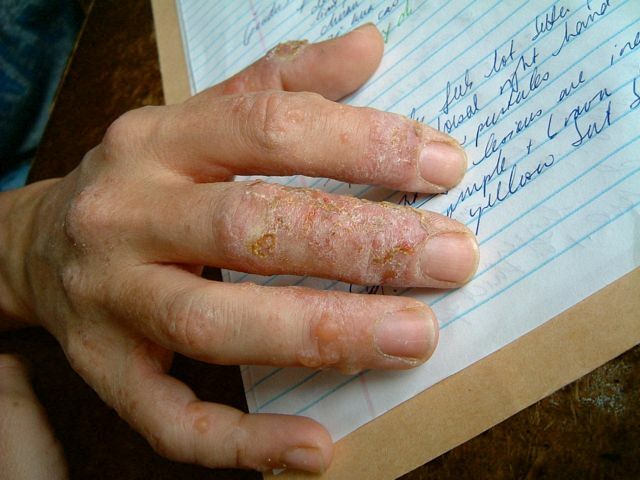 It can often be a feature of pompholyx eczema that the blisters on hands alternate with dry and cracked hands, in an endless cycle that repeats itself again and again. If this is the case with you, click here to read about dry and cracked hands. Return from blisters on hands to the home page.